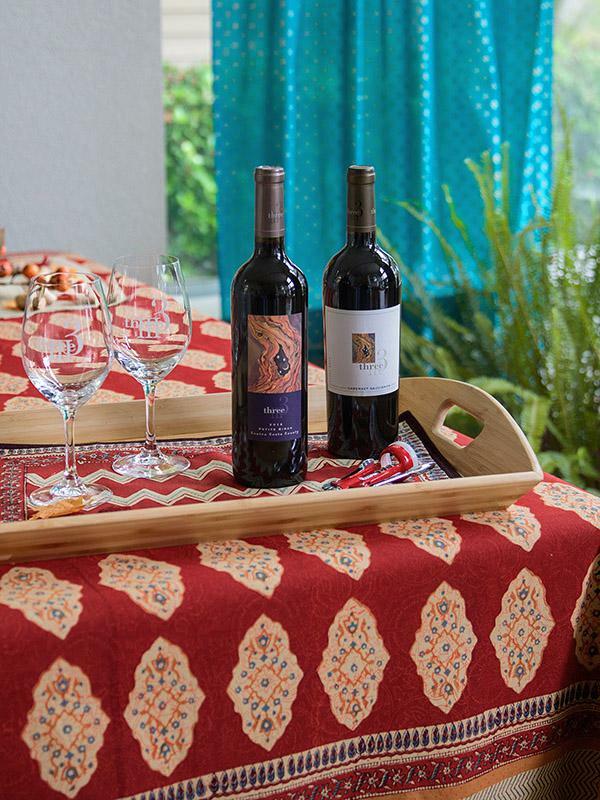 Serve up warmth and adventure when you spread this exotic tablecloth. 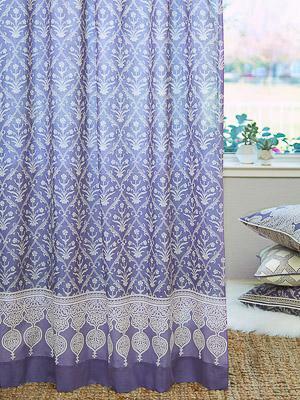 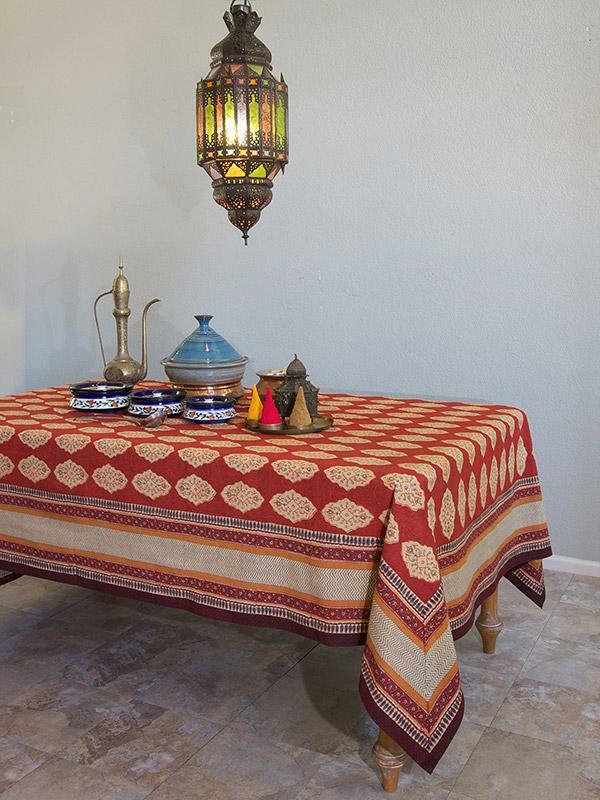 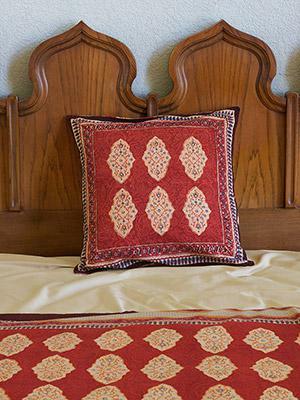 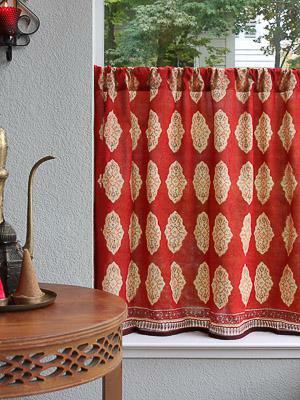 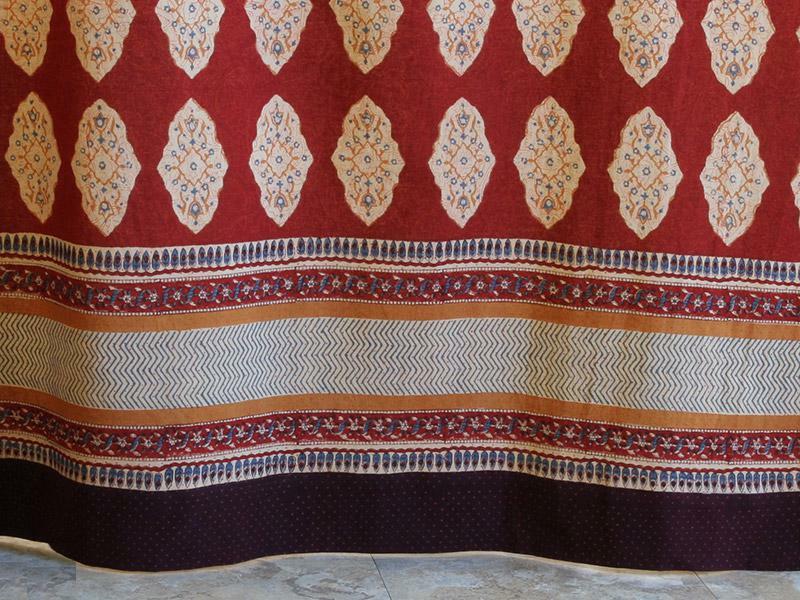 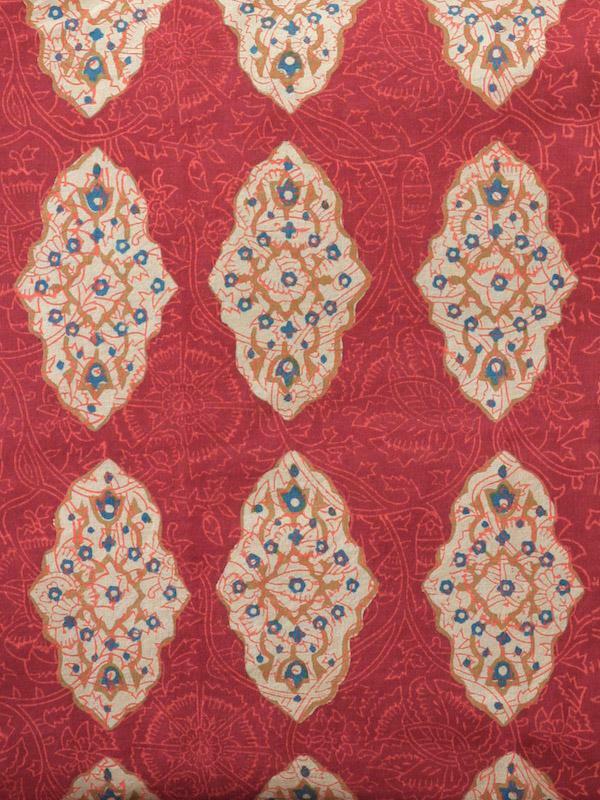 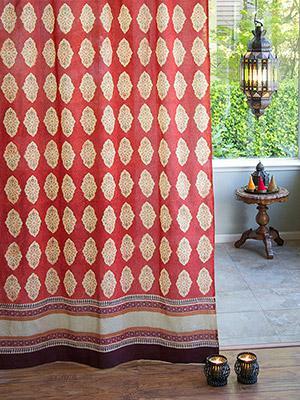 Rich spice-inspired ... [ read more ] color and splendid pattern will transport you and your dinner guests to a Moroccan wonderland, replete with wafting aromatics and beauty of every kind. 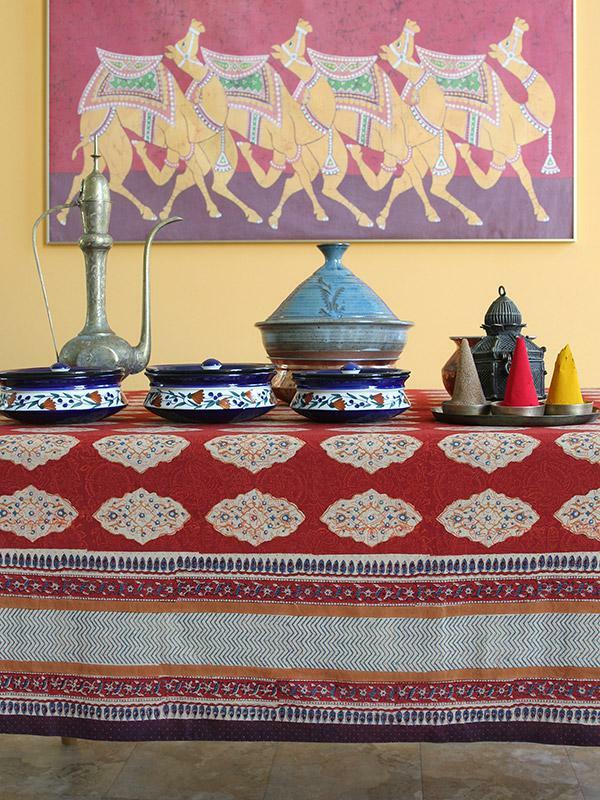 (You provide the food.) 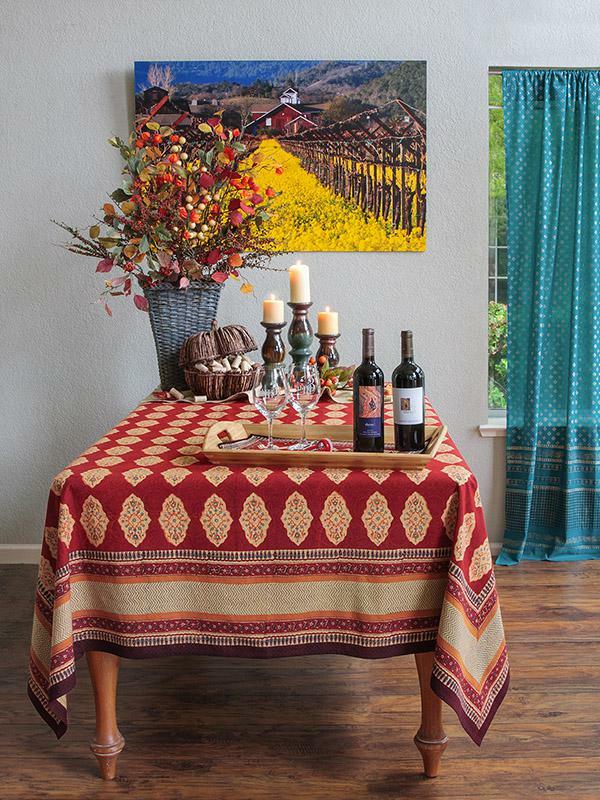 Use this tablecloth in a room with earthy walls in mustards, chocolates or reds. 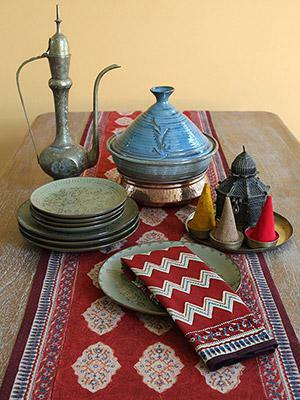 Accent with gold and turquoise.